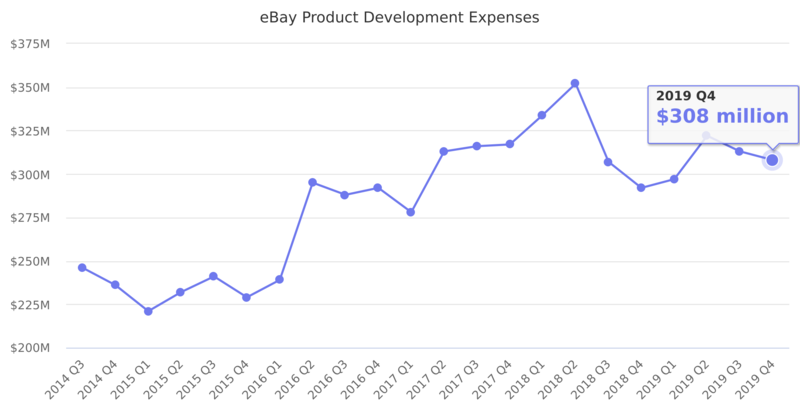 Work expanding and improving eBay websites. Investments in areas of structured data, user experience, and innovation. Last reported quarter 2018 Q4 it was $292.00 million, down by -8% year-over-year from $317.00 million. From $1,224.00 million in 2017 it increased by 5% to $1,285.00 million in 2018.